You know these are the vowels in the English language, but you may not know that they are under assault (being attacked). OK, it’s not quite that dramatic (serious), but if you look at popular culture today, vowels are M.I.A. (missing in action; not there). You will find vowels missing in the names of popular websites, such as Tumblr (pronounced “tumbler,” a type of glass with straight sides and no handle) and Flickr (pronounced “flicker,” which is what a light does when it goes on and off unexpectedly, like during a storm). Vowels are missing in rock band names, too, such as the Canadian singer The Weeknd (pronounced “weekend”). And vowels are missing in fashion brands, such as Srsly (pronounced “seriously” — seriously!?!). This isn’t surprising considering how people communicate these days, especially the youngest generations (groups of people around the same age). In texts and online, we use more and more abbreviations (shortened forms of a word), emoticons (pictures with a facial expression, like a smile), and acronyms (using first letters of words to represent a name or phrase). If the current trend continues, my future posts will just look like this: THSBLGPSTSBTRLLYCLTPCBCNTTLLYWHTTS. 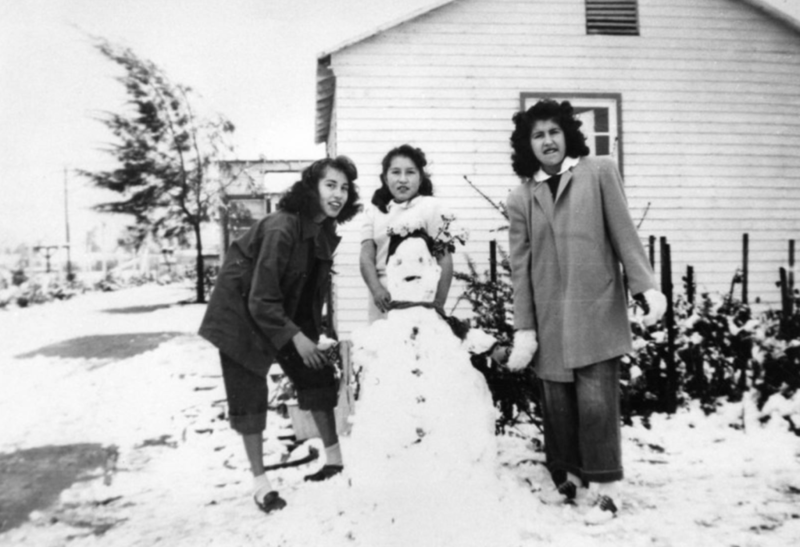 Posted in Life in the United States	| Comments Off on Who Says It Never Snows in L.A.? We had a lot of deadly (killing someone) forest fires in California in the past few months, so it’s a good time to talk about Smokey the Bear. “Smokey Bear,” often called “Smokey the Bear,” is a mascot (a cartoon animal or other character that represents a team or organization) for the United States Forest Service, the federal agency that protects America’s forests (areas with many trees). Smokey the Bear was created to encourage people to be more cautious (careful) in order to prevent forest fires, especially by selecting appropriate sites (places) for campfires (fires burned for cooking, heat, and entertainment while outdoors) away from tree branches. People were also encouraged to douse (pour water over) campfires before leaving them unattended (without someone nearby and watching something). Smokey the Bear is depicted (shown) as a drawing of a brown bear wearing jeans and a large hat with his name in red letters, holding a shovel (tool with a long handle used for digging and moving dirt) (see photo). Smokey can be found in television ads, promotional materials distributed at national parks and in schools, and even as a walking mascot at national parks. A large advertising organization reports that 95% of adults and 77% of American children recognize Smokey the Bear and his message. But some people argue that the campaign has been too successful in vilifying (making something seem bad or evil) wildfires. People have been taught that all forest fires are bad. In reality, some forest fires are necessary to maintain forest health. 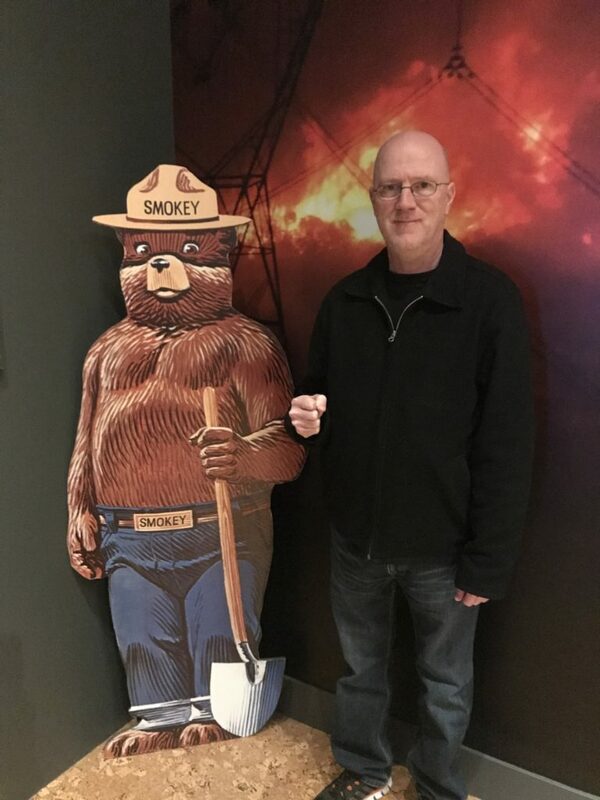 In the photo, you can see me standing next to Smokey the Bear at a local museum here in Los Angeles. I’m holding an imaginary shovel to help him, but he doesn’t look too happy to see me. Nothing brings Los Angeles to a standstill like rain. A standstill is a situation where all movement or action has stopped. You can bring a basketball game to a standstill by losing the ball. Or you can bring conversation to a standstill if you drink a little too much and tell a bad joke about your boss in the middle of a work party. In the past few weeks, we had three or four days of major (large) rainstorms (lots of rain), at least they were major by Los Angeles standards (way of measuring). The freeways were backed up (with little movement) even more than usual because Angelenos (people who live in L.A.) just don’t know how to drive in the rain. We have so little experience with roads that are slippery (hard to stay in one place) and with cars skidding. When you try to stop quickly, your car skids (continues to move, usually sideways or in ways you don’t want it to). The city is also ill-equipped (poorly prepared) for a lot of rain. That’s why, during a rainstorm, the news is full of stories about streets that are flooded (with too much water) and collisions or car accidents. Notice that we use the verbs “bring + to” and “come + to” with “standstill.” We bring things TO a standstill, or things may come TO a standstill. 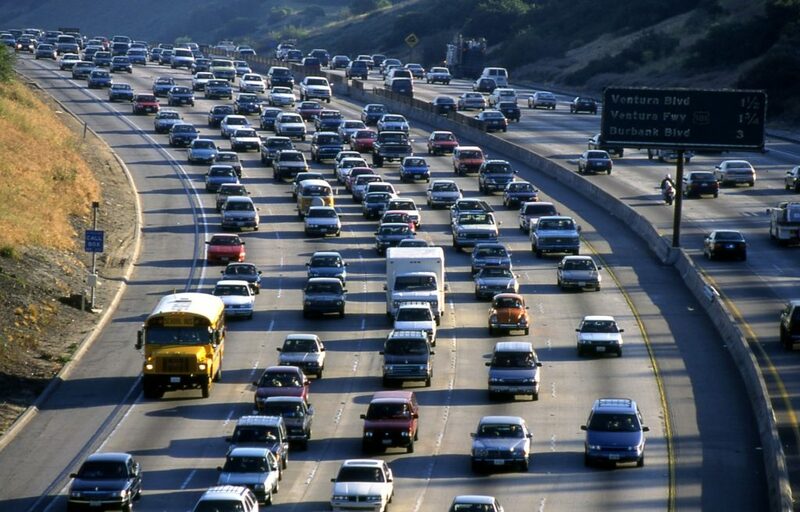 To bring something to a standstill means that you (or someone/something else) cause it. I bring traffic to a standstill if I have an accident. To come to a standstill means that it just happens, perhaps for reasons we don’t understand. Traffic came to a standstill, perhaps because of bad weather or the police. These are the two most common verbs used with “standstill.” Note that you canNOT “make” a standstill or “do” a standstill. I have to confess that I’m just like all Angelenos: I stayed home on these rainy days to avoid any problems. Yes, I’m from Minnesota where it snows a lot in the winter, and yes, I let (allowed) a little rain keep me indoors (inside). After nearly 30 years of living here, I guess I’ve become a true Angeleno! Lucy, the ESLPod Team, and I want to wish all of you happy holidays! If you celebrate Christmas, Merry Christmas! If you celebrated Hanukah, Happy Hanukah! If you celebrate nothing this time of year . . . um, well, Happy End of December! 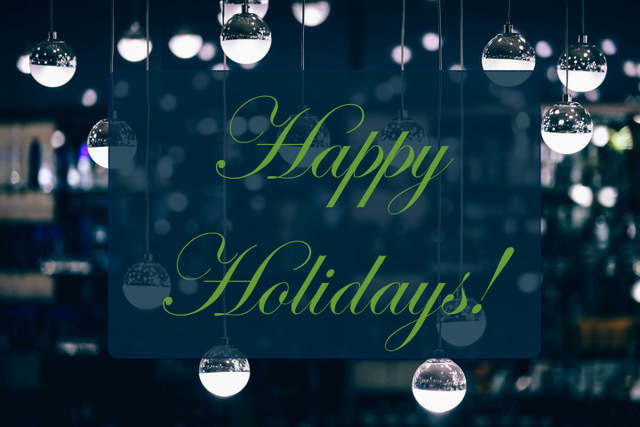 Posted in Life in the United States	| Comments Off on Happy Holidays from ESLPod.com! Do you want a new ball? Write to Santa. A new doll? Drop Santa a line (write him a message). But writing letters to Santa Clause wasn’t always a thing (popular with many people). Santa was traditionally (usually) depicted (shown) as a disciplinarian, someone who made sure rules are followed and who punished those who didn’t. Adults, such as teachers and parents, would sometimes tell children they received letters FROM Santa giving them lessons on how little girls and boys should behave (act). It wasn’t until the late 1800s that this changed. Thomas Nast, who published the popular magazine, Harper’s Weekly, included illustrations or drawings of Santa Clause reading letters he received from children in the magazine. This gave people the idea to write letters TO Santa. Nast also gave Santa an address in the North Pole, the northern most point on the Earth, by including this address in illustrations: “Santaclauseville, N.P.” (Santa + Clause + ville (city); N.P. = North Pole). Soon newspapers encouraged parents and their children to send in (submit) letters to Santa, with the best being printed in the newspaper. For some newspapers, this became a popular feature (characteristic) during the Christmas season (period of the year). 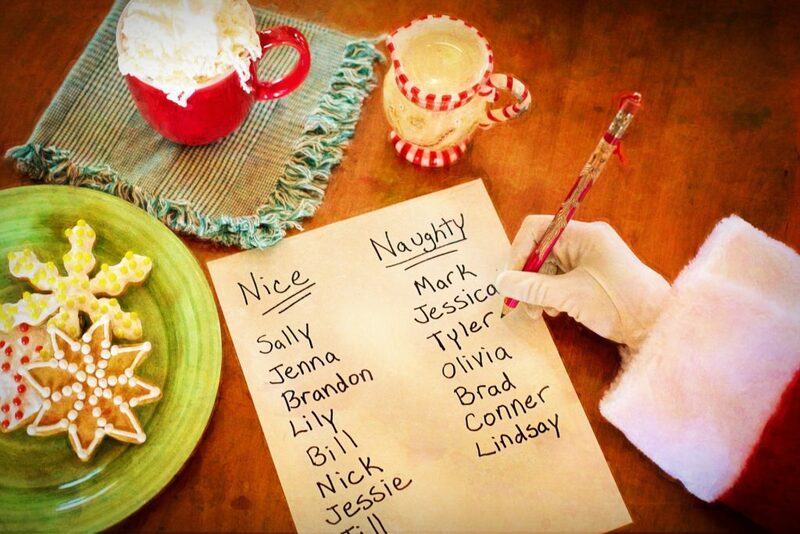 You might wonder: What can I do if my children want to mail a letter to Santa? After all, they will be expecting Santa to respond (write back; reply)! The United States Postal Service actually has a way for them to get a response—written by you. All you have to do is send the child’s letter addressed to “Santa Clause, North Pole” along with your response letter with a self-addressed (address to yourself) stamped envelope. Your letter, supposedly (believed to be) from Santa, will then be sent to the child. No presents (gifts), though, just letters. Kids today might ask for iPhones or video games. But fortunately, using this program, “Santa” can be the one to say no! Most Americans get a vacation over the holidays (Christmas and Hanukah), anywhere from a few days to two weeks. So with extra time on their hands (extra time with nothing to do), many of us go to the movie theaters to watch the latest releases (the most recent movies). Sometimes the behavior (the way that one acts) of other people can ruin (make something not as good) the experience of going to see a movie in a movie theater. In the United States, most people expect certain etiquette (polite ways of behaving and interacting with other people) to be followed in a movie theater. Of course, many of these “rules” are the same in other countries. In general, it is rude (not polite or nice) to talk loudly while a movie is playing, because this might distract other people or make it difficult for them to concentrate on the movie. It is also rude to crinkle (move something in one’s hands so that it makes a loud noise) food wrappers (the paper and plastic that food is packaged in) so that other people can’t hear the movie. Cell phones should be turned off for the same reason. It is also rude to block (not let something be seen) other people’s view. For example, movie watchers generally avoid wearing tall hats! If the theater isn’t full and there are many empty seats, it would be rude to sit directly in front of another person. It is always better to sit slightly to the side in the next row (a group of seats in one straight line). Movie theater etiquette requires that people do not stand up and move around the theater more than necessary. 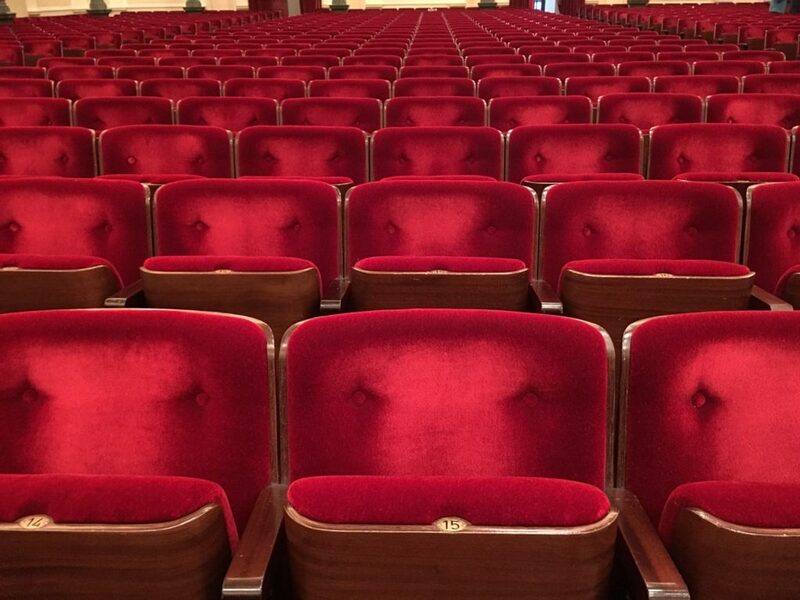 If a moviegoer (someone in a theater to watch a movie) has to get up to go to the bathroom, they should stand up, hunch over (slightly bend one’s knees, back, and neck so that one is not as tall as usual) and quietly say “Excuse me!” while waiting for other people in the row to stand up. When that person returns to the row, it’s best to wait for a dull (unexciting) moment in the movie before going back to his or her seat. Otherwise (if you don’t), everyone could miss the exciting action! When Americans say “the holidays,” they are usually referring to mid- to late-December, when the religious holidays of Christmas and Hanukkah are celebrated. It’s a happy time of year for most people. But the holidays are also a dangerous time for some. Some of us overeat (eat too much), and others of us overspend (spend too much). Consequently (as a result), some have a lot of debt (money you owe other people). For most people, this debt is manageable, meaning that they can make their payments. But other people get in over their heads (are in a very difficult situation with many problems that they cannot solve). People with too much debt sometimes turn to (look for a solution in) credit counseling. 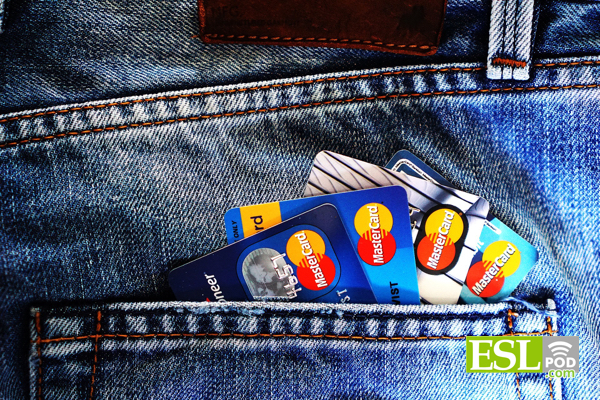 Credit counseling is education that helps people avoid getting into too much debt. For people who are already deep in debt (with a lot of debt), credit counseling can help them reach agreements with their creditors (the people they owe money to) to pay off (end; pay back) debts over time. Credit counselors (people who give others advice and help) might help people make a budget (a plan for spending money) and to prioritize (decide what is most important) their purchases. Often credit counselors advise (suggest) people in deep debt to cut up (destroy with a scissors) their credit cards so that they won’t be tempted (won’t have the desire to do something they shouldn’t do) to spend money that they don’t really have. But not all credit counselors are really trying to help people. There are some who give people partial (incomplete) or incorrect information, and don’t really help them get out of debt (pay all their debts). These organizations, which are sometimes paid for by the credit card companies, offer to consolidate their debts (put all their debts on one single credit card or account). Making a single payment is easier, but the account often has a much higher interest rate, so the person ends up paying much more money over time. If you need credit counseling, it’s always best to find an organization that isn’t connected to a credit card company or bank. Otherwise (if you don’t), you may end up being in even MORE debt! Why Are There Letters in English You Don’t Pronounce? Okay, this one is for those language geeks (people who are too interested and excited about something) out there who, like me, like to know how language works and why it is the way it is. Silent letters. Those are the letters in a written word that we don’t pronounce. Words like “plumber” (pronounced “PLUMmer”) and “muscle” (pronounced “MUSsle”) make learning to spell in English even harder. You might ask: Why are there silent letters in English in the first place (to begin with; at all)? There are two reasons: “The Great Vowel Shift” and the printing press. In the English language’s early history – say (for example), around 600 AD – the language was largely (mostly) phonetic — written the way it’s pronounced. What caused this great “shift” or change? The answer is that English speakers came in contact with (met; knew) speakers of other languages. In particular (especially important), the French conquered (defeated and took over) England in 1066, and there was also a lot of trading (buying and selling) with many different countries. 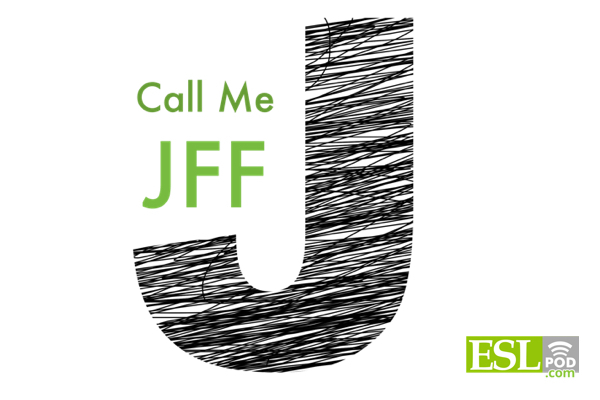 This contact influenced (changed) pronunciation and spelling, especially the pronunciation of certain vowels (a, e, i, o, u). The change was gradual (little by little), but significant (big; major). You can listen to some of these changes here. Also during the early 1400s, the printing press (machine for making books) was invented (created) by the German Johannes Gutenberg. 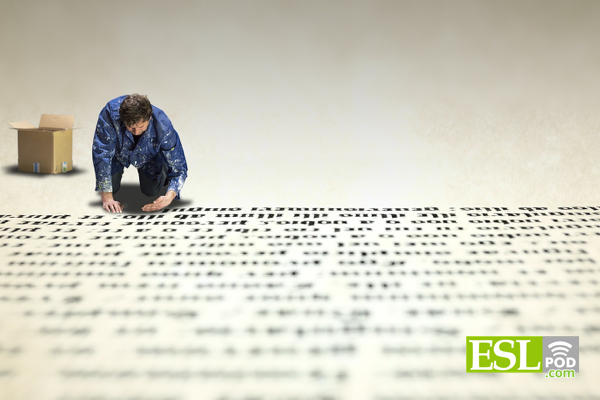 Before the printing press, as English pronunciation changed, spelling changed with it. But once printed books and materials became widely available (many people had them), spelling became fixed (not changing). This doesn’t mean that changes in spelling don’t continue today. It just happens at a much slower pace (rate; speed). And that’s why we have silent letters in English: pronunciation continued to change, but spelling didn’t! Unfortunately, knowing this doesn’t help you to become a better English speller. What WILL help, however, is doing a lot of reading. For example, you can read our Learning Guides that come with each our lessons. Or you can read magazines, books, and other materials that you can mostly understand and find interesting. People who are good spellers in English are usually people who read a lot. Reading will also help you with vocabulary and grammar, so you get three things (spelling, grammar, vocabulary) for the price of one! Posted in Language & Terms	| Comments Off on Why Are There Letters in English You Don’t Pronounce?